I was recently browsing one of my favorite blogs, Posie Gets Cozy, and came across this recipe for risotto-style pasta. I'm a big fan of pasta, and everything Posie photographs looks like gold to me, so I couldn't wait to give it a whirl. My only issue was that I wanted to use gluten-free rice pasta and wasn't sure if it would work the same way as regular pasta. In my searching, I found that risotto-style pasta is a hot topic and was even written about in the New York Times, a true sign of arrival. I also came across a blog with a recipe for risotto-style pasta using the gluten-free stuff, so off I went. I found this method of cooking pasta to be very interesting, fun, and a whole lot more flavorful. The pasta absorbs all the chicken broth, cooking along the way, and the end result is a creamy, cheesy, one pot meal that doesn't waste a drop of water. This is on my highly recommend list! Heat the oil in a large saucepan over medium heat for 30 seconds. Add the onion and mushrooms and cook, stirring, until the onion is soft and translucent and mushrooms begin to brown, about 10 minutes. Add pasta, stirring occasionally, until it is glossy and coated with oil, 2 to 3 minutes. Add water or white wine. Stir and let liquid bubble away. Ladle stock into skillet 1/2 cup at a time, stirring after each addition and every minute or so. When liquid is just about evaporated, add more. After the third addition is absorbed, toss in the peas and continue adding broth and stirring until the pasta is just tender. Turn the heat down to simmer and check pasta consistency. When the pasta is cooked, stir in the Parmesan, lemon zest and juice, and basil. Serve immediately with extra Parmesan sprinkled on top. 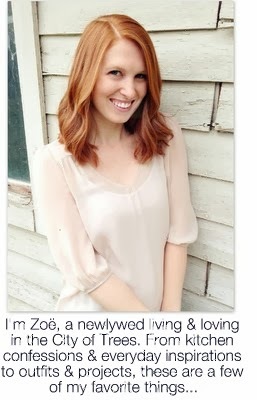 Zoe, this looks SO GOOD! aaaand my mouth is now watering! DEFINITELY trying this out ASAP! I am totally making this! I LOVE any recipe that uses shitake mushrooms, and the pasta as risotto thing is genius!